August is set to be a seriously busy month before I go back to university; I’m working at the renowned Craft Scotland summer show throughout the Edinburgh festival, an exhibition of some of Scotland’s most exciting and talented designer-makers, plus lots of freelance client work, and I’ve been building a brand new website for this blog (launching very soon, keep your eyes peeled!). So, I needed a little bit of ‘treat yo self’ time, and that meant some pampering in the form of fresh new nails from Chamomile Sanctuary Spa, and a slick new haircut from Hair By JFK, to pump myself up for a hectic few weeks, and to review two of Edinburgh’s most prominent hair and beauty salons. Since I first got my hair cut short, it’s been fairly low maintenance, but one thing that has really got on my nerves is how quickly short hair grows, especially at the back and sides (see the before photo!). The lovely James at established Edinburgh hairdressers Hair By JFK suggested a super-short, sharp haircut while keeping it long and full of volume on top, and I was thrilled with the results; a style that will last longer while I don’t have time for regular trips to the salon. I also got some fab product recommendations, including a volumizing cream called Upload by Schwarzkopf, and I invested in some new Bleach London dyes and shampoos for when I eventually grow my hair out and experiment with colour again. After years of damaged hair (FYI- skinny does not equal pretty! ), it feels great to be growing healthy new hair from scratch, and get it maintained by some fab Edinburgh based hairdressers! Now, it’s time to talk nails. I am a big fan of Shellac nails, but they never seem to last the full 2-3 weeks for me, and maintenance can be a chore. That’s where ‘The GelBottle’ comes in. The latest in nail technology, The GelBottle was born with high quality and innovation in mind. The brand offers an array of more than 360 unique colours of gel polishes that are rich, highly pigmented, chip-resistant and offer extreme long lasting shine. They are also completely vegan and cruelty free! 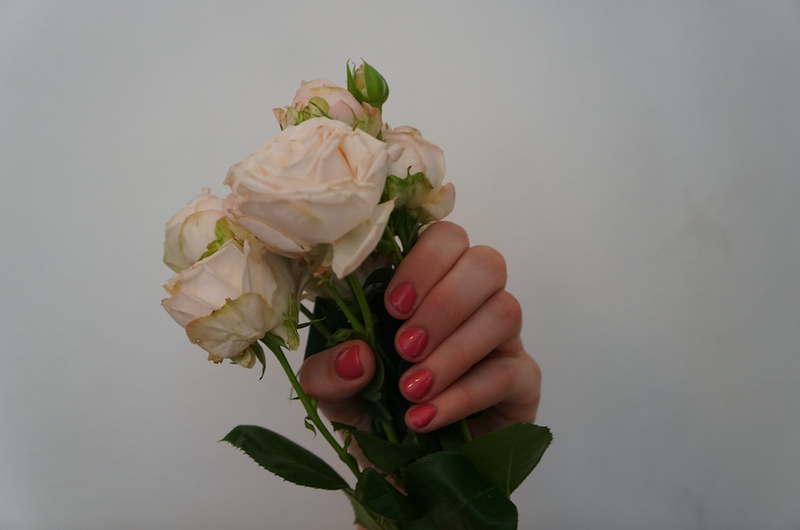 Where are your favourite places to get your hair and nails done in Edinburgh? Let me know in the comments.